People have been talking about this upcoming movie 24/7 in Love under Star Cinema production. 24/7 in Love is a Filipino Romantic comedy movie brought to us by the in-demand names of media directors namely John D. Lazatin, Mae Czarina Cruz, Frasco Santos Mortiz and Dado Lumibao. It is a compilation of 7 romantic comedy stories involving several characters in assorted crazy behaviors towards love. This is a tribute as Star Magic celebrates their 20th year anniversary giving out bests of best of their works in entertaining the public. ABS CBN’s Teen Sweetheart (Kathryn Bernardo) who played the role of Jane, a die-hard fan of Billy Fernadez (Daniel Padilla) who’s a celebrity, wanting to witness Billy’s (Daniel Padilla) concert; a hopeless romantic secretary, Barbara who is portrayed by (Maja Salvador) was so in love with her fit and mouth-watering boss Ken (Diether Ocampo) and will desperately do anything just to be recognized by him. Another story is about a 40-year old virgin, Virgie (Pokwang) who meets Charles (Sam Milby), a man who looks for support of someone in return for his attention. Verna, (Angelica Panganiban)a girl who falls in love with Elvis (John Lloyd Cruz), who’s a waiter in Vietnam; Belle (Bea Alonzo) who fell in love with her gay best-friend, Butch (Zanjoe Marudo); (Piolo Pascual)as Mike, a 35 year old mentally-challenged man who is trying to win Xyriel Manabat’s heart with the help of his friend Zaijian Jaranilla. And the story of Patty (Kim Chiu), an active account-executive, who prospects her first love, Alvin (Gerald Anderson) to become a model for her company. 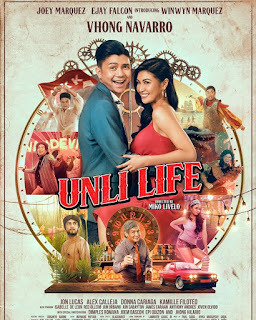 Other movie casts includes Coco Martin, Helga Krapf, Jason Francisco, Jayson Gainza, Joem Bascon, John Lapus, Joseph Marco, Maricar Reyes, Matt Evans and Niña Dolino. Watch the funniest compilation stories of love ‘24/7 in Love’ on Cinemas and theaters nationwide on the 21st of November 2012! 24/7 in Love movie will make you laugh to the fullest and will make you feel so in love 24/7. Watch this much awaited comedy romantic movie before the year closes!